Light is at its best in the presence of darkness. Light is inseparable from the notion of form and space and so is shadow from light. Does shadow have the power to give form to architecture? 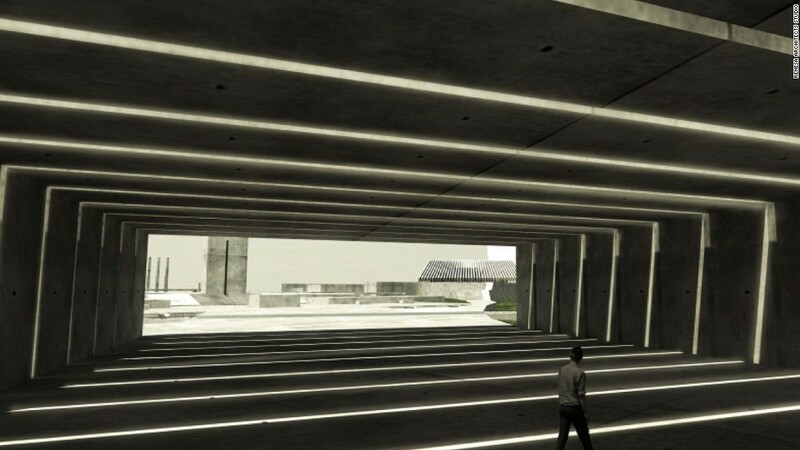 Throughout the world architects and designers have always explored natural light as a design element, but seldom do they consider the shadowed areas caused due to that light. As an architect I not only have great respect for light and how it behaves, but darkness as well.The ambience of a space is affected by the quality of light and shadows. Shadows are everywhere but we tend to ignore them. We rarely notice them, only when we go looking for shadows on a particularly hot day. But in general, we aren’t programmed to notice shadows in our daily life and this is a factor that extends into design too. While shadows remind us that the world is filled with light, they also tell their own story, independent of the light that creates them. The beauty of a shadow is found all around us. It is contained in the shadow that a small flower casts onto the grass, or in the skyscrapers and buildings that take over our landscapes. Light is difficult to draw. In the introductory sketching class, I always ask students to replicate the given photo from a magazine. The students always manage to copy the design, but what they lack is real depth. Then they are asked to lay a piece of trace paper over the photo and shade in just the shadows in the photo. When the trace was lifted from the photo the composition was easily recognizable but stronger than the first drawing that they had made. This exercise help them to understand shadows as a powerful element in design. The idea of building with shadows is not a new one. For centuries Japanese designers have mastered in designing dimly interior spaces, claiming that darkness can relax the mind and stimulate the imagination. Japanese designs are often constructed in such a way so interior spaces appear to change throughout the day and year resulting in some parts of a building being flooded with daylight, while other parts are filled with shadows. Baroque architects and builders were masters at sculpting space and form. Shadows created by carved surfaces dramatically mold and define the architecture of that period. We can use the same techniques to draw attention to significant elements of a building. Bordering shadows describe the edges of physical form. They accentuate the shape of an unshaded portion of the building. 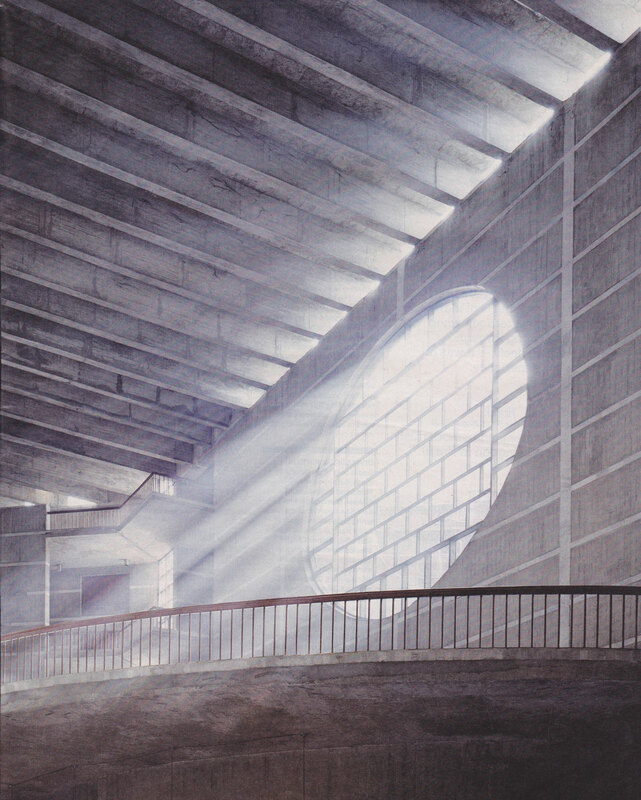 One of the architect who knew the power of the shadow is Louis Kahn. Kahn believed that light’s purpose is to cast shadows, and these shadows are present to evoke a certain mood. The darkness of a shadow is linked to the mystery and uncertainty of a space. With multiple purposes, shadows are there to protect from the sun on a hot day, to altogether create a new design and pattern, and to define the auras around us. As architects and designers, we need to be more conscious of the effect that building upward has, in order to capture the essence and beauty of shadows. Especially in the urban areas, where high rise buildings cast many overlapping shadows. Walking the same path will be a different experience depending on the time of the day, because the sun is always changing. We must use the materials around us to design beautiful structures while simultaneously creating appealing shadows. Shadows are actually very cool and can make a building very dynamic as the shadows move across a building throughout the day as well as throughout the year.